Apple has begun shipping custom configured Mac Pro units to customers according to MacRumors Forum members, some two weeks after stock configurations began arriving just before Christmas. According to several posters on the MacRumors forums, a number of custom configured models have seen their order status change to “Preparing for Shipping”, which typically happens one day before an actual shipment. A couple have even seen their machines actually ship, with some expected to arrive as soon as today. Stock configurations ordered early on launch day have been shipping more consistently, while custom orders have seen longer delays. Separately, Electronista reported earlier this week that Apple may not have sufficient Mac Pro units to stock its Apple Stores until March or April. Currently, customers are being advised to order units online and they will ship when available — estimated ship times for the Mac Pro are currently targeted to February. Apple’s in-demand new Mac Pro will not be available to in store customers until as late as March or April. The information was supplied to us by an Apple Australia business sales specialist who also advised that they are being told to direct customers to the online channel as it the only way that customers can currently secure a new Mac Pro — the advice also applies to those who may have already placed an order on a unit in store. Apple’s online store is still showing that Mac Pros ordered now will not ship until sometime in February at the earliest. The only Mac Pro units to have reached some Apple Stores are demonstrator units and this is not expected to change for some months. Mac Pro models still show an “available to ship” estimate of February on the U.S. Apple Online Store, while Mac Pro units appear to be out-of-stock at all Apple Retail Stores. 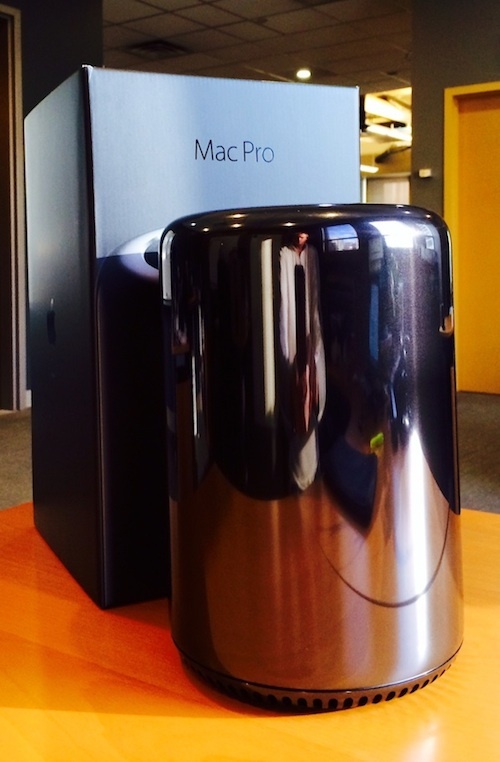 Update: One customer whose build-to-order Mac Pro shipped on December 31 has received the order today. “Jobs,” the Steve Jobs biography directed by Joshua Michael Stern and starring both Ashton Kutcher as Jobs and Josh Gad as Wozniak, can now be purchased or rented in iTunes. The film, which scored a 26% on Rotten Tomatoes, can be purchased for $19.99 in high definition or $14.99 in standard definition. A 24-hour rental is also available for $3.99 (SD) or $4.99 (HD). “Jobs” can also be purchased or rented via Amazon Instant Video for $14.99 and $4.99, respectively, and it is available on both Blu-ray ($22.99) and DVD ($17.99) from Amazon.com. Originally released on August 16, the movie received mixed reviews from critics, who felt that it was unappealing and focused too heavily on Apple rather than on the life of Steve Jobs. Original Apple employees like Daniel Kottke and Bill Fernandez also criticized the movie for its inaccuracies. During its opening weekend, “Jobs” made just $6.7 million, which was below the $8-9 million projected by its distributor, Open Road Films. In theaters the movie, which had a budget of $12 million, has earned $16.1 million in the U.S. and $19.8 million abroad, for a worldwide total of $35.9 million. Another Steve Jobs movie, from screenwriter Aaron Sorkin, remains in the works with a prospective 2014 release date. Yesterday, a survey published yesterday by Piper Jaffray analyst Gene Munster stated that the iPhone 5s is approaching 90% availability in Apple’s U.S. retail stores, with supply begin to match consumer demand of the device. Now, The Wall Street Journal is reporting that the shortened wait times for the high-end iPhone is due in part to supplier Foxconn and its high volume production, with the company adding more workers to its assembly lines in China as its overall production capacity grows. The Taiwan-based contract manufacturer, which has more than one million workers in China, has operated 100 production lines around the clock in Zhengzhou, north central China, at full capacity, according to executives at Hon Hai. The company has about 300,000 workers at its Zhengzhou site, dedicated to just making the iPhone 5S and key components such as metal casings. To get a glimpse of just how complicated it is to manufacture the iPhone 5S, Hon Hai executives said the company has about 600 workers on each iPhone 5S production line to handle assembly work. “We have been churning out about 500,000 iPhone 5Ss everyday, the highest daily output ever,” said the executive who declined to be named. The executive cited in the report also stated that it takes a longer time to assemble an iPhone 5s compared to the iPhone 5c or previous generation iPhone 5, with only 500 workers per production line to assemble the two lower-end devices. Notably, a report from Digitimes earlier this month stated that the Zhengzhou factory would be ceasing production of the iPhone 5c to shift the facility’s manufacturing efforts toward the iPhone 5s. Foxconn was also previously estimated to be operating at only a minimum capacity of 8-9,000 iPhone 5c units per day. 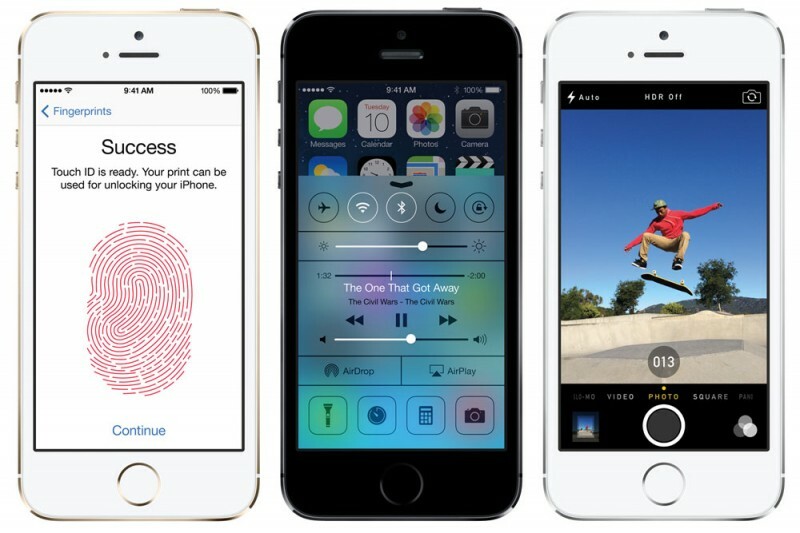 Originally released in September, supplies of the iPhone 5s remained somewhat constrained following the launch, with the bulk of stock tending to go to Apple’s own retail stores. However, while supplies continued to be scarce during September and October, they have appeared to generally improved throughout November, with several colors and capacities of the iPhone 5s available for immediate pick up in Apple Stores in the United States. With the initial public release of iOS 7 slated for this Wednesday, September 18, signs of future iOS 7.0.1, iOS 7.0.2, and iOS 7.1 releases are all showing up in web logs. Their presence was noted by 9to5Mac and is also being seen in our own logs, showing visitors running those operating system versions coming from IPs associated with Apple. Our records are also showing a handful of visits via Apple’s networks from devices reporting themselves as running iOS 8 starting at the very end of August. While iOS 7.0.1 and 7.0.2 are expected to be minor bug fixes to the upcoming mobile operating system, iOS 7.1 could potentially bring a host of new features, similar to iOS 6.1 which brought LTE support for more carriers and Fandango Siri integration at the time. iOS 7.0.1 visits from Apple’s network began showing up in our logs as long ago as early August and began increasing significantly in late August, presumably as work on the version increased as Apple began locking down the golden master version of iOS 7.0.
iOS 7.0.2 is a much more recent appearance, with the first sign of it showing up in our logs coming last week just after Apple’s media event. And iOS 7.1 has been the least frequently seen version among the three upcoming iOS 7.x versions seen by MacRumors, with a small handful of visits coming in early August before appearing with increasing frequency in late August. The prevalence of all of the future operating system versions among visits from Apple’s networks remains very low, so it appears that they have not yet entered widespread testing within Apple. iOS 7 features a brand new design along with a number of new features, including a vast overhaul of multitasking with a new cards look, a new universal settings window known as Control Center, and a revamp of Notification Center that offers new daily overviews. The software will also come pre-installed on Apple’s new iPhone 5s and iPhone 5c devices, with owners of the iPhone 5s receiving device-specific features such as 64-bit support, Touch ID fingerprint sensing, and a several new camera features. The golden master (GM) version of iOS 7 was seeded to developers last Tuesday following Apple’s special iPhone media event. The software update will be available for free upon its release this Wednesday, and will be compatible with the iPhone 4, iPhone 4S, iPhone 5, fifth-generation iPod touch, iPad 2, iPad with Retina Display (third- and fourth-generation), and the iPad mini, along with Apple’s new iPhones. Apple Board of Directors ‘Concerned’ About the Speed of Innovation? Apple’s Board of Directors has expressed concern about the company’s “pace of innovation” according to a report from Fox Business Network’s Charlie Gasparino. The board is normally extremely secretive and, if accurate, this report is unlike anything we’ve heard from inside the company in recent years. From what we understand, there is concern at the board level, sources are telling the Fox Business Network, about the pace of innovation over at Apple. What have they had lately? They had the iPad and a few other things, but they don’t have anything innovating from what came from Steve Jobs and that concern is basically manifesting into pressure on Tim Cook to innovate, and to do something fast. We should point out, this is an interesting boardroom drama. It does not mean that Tim Cook is out of a job or that there is a job search out there, we don’t know that and I don’t believe that is happening. In fact, sources inside Apple are saying that’s not the case. What we are able to confirm is that the board is worried about what is in the pipeline. Do they have the right stuff in the pipeline? Do they have innovative stuff in the pipeline? Do they have stuff to keep the momentum going? Apple’s stock is currently down 35% from its all-time highs earlier this year, though the stock has made a bit of a run recently. Tim Cook’s two-year anniversary as CEO of Apple is coming up on August 24th, and the company is expected to introduce new models of the iPhone and iPad this fall. Apple Building 2TB Solid State Drives for Next Mac Pro Release? Apple may be developing a two terabyte solid state drive for inclusion in the next Mac Pro according to an unconfirmed report by Bright Side Of News. Apple has said a new Mac Pro should arrive sometime in 2013, though it’s unknown exactly when Intel’s new processors will arrive, leaving the actual launch timeframe somewhat in question. Intel’s next-generation Xeon chips are expected to arrive in late 2013. But seeing a 2TB Solid State Drive with an Apple logo on it opens very large ground for speculation. Given that we were not able to learn more about the parts in question, we have to leave it at that. But from the looks of it, the 2TB drives used industry standard 3.5″ form factor, full height (just like your regular 3.5″ spinning drive) and a SATA connector (not SAS or some proprietary port). The site notes that if the new Mac Pro has a design similar to the current model, it would be capable of holding 8TB of solid state storage per workstation. Apple CEO Tim Cook is now speaking at the Goldman Sachs Technology and Internet Conference, participating in a Q&A session with analyst Bill Shope. Apple is streaming live audio of the session on its investor site, and we’ll be sharing some of the highlights here in this post. Question about Apple’s cash usage strategy…do you have a Depression-era mentality? What a way to start! We’re making significant investments in a number of areas: supply chain, retail stores, corporate acquisitions, etc. Now, we do have a significant amount of cash, and we’re fortunate to have that. We’re returning some of it to investors and will continue to have discussions on that. Thoughts on Greenlight’s proposal about unlocking more capital for shareholders? We welcome input from our shareholders and are discussing a broad array of options. How about Greenlight’s lawsuit regarding your proxy statement? There are some misconceptions over what this is about. It’s not about turning money back to shareholders. It’s about corporate governance. So we’ve decided to eliminate the ability to issue “blank check” shares ourselves. We could still do it, but would have to go to shareholders for approval. So frankly, this seems bizarre to me that we’re being sued over something that’s good for shareholders. We wish people involved in this lawsuit would take this money and donate it to a good cause. This is a waste of money for all involved…a silly sideshow. But you’re not going to see us sending out a mailing or campaigning for our proposal. It’s the right thing to do, and I’m going to vote for it. You’re not going to see a “Yes on 2” sign in my front yard. Question on acquisitions…most of them are small. Is there something in your culture against large acquisitions? We do a fair number of acquisitions…one every other month. Most of them are for talented people working on smaller projects that we absorb and then move them to our own projects. PA Semi is an example…talented chip folks working on PowerPC and we moved them to iOS device work. We’ll do more deals like this. As for large companies, we have and will continue to look at them. But so far they haven’t passed smell test for us. We could do it, but we’re disciplined. Not interested in just growing revenue, but if there was a large acquisition that fit our needs, we would do it. How do we think about Apple’s culture of innovation today? It’s never been stronger. It’s so embedded in Apple…the desire to make the very best products in the world. It’s in the DNA of the company, and so I feel fantastic about it. Now, if you look at some essentials for innovation, there’s no formula. But some of the essentials are skills and leadership. If you look at skills, Apple is in a unique and unrivaled position…expertise in software, hardware, and services. Consumers want an elegant experience where technology floats to background and customer is at the center. The real magic happens at the intersection of software, hardware, and services, and we have the ability to innovate and create magic there. For many year, this idea of “vertical integration” was out of favor. People thought it was kind of crazy, but we never did and we continued to build. This is something you work decades for. I think there are people trying desperately to catch up, and they’re finding it very difficult to do. In terms of leadership, I look around the executive boardroom and see superstars. Jony Ive is the top designer and now turning his attention to software. Bob Mansfield is the leader in silicon. No one better than Jeff Williams at operations. Schiller, Riccio, etc. I’ve never been more bullish on Apple…we have the talent to pull this off. Question about law of large numbers. Have we reached a natural limit on iPhone growth? We don’t have the word “limit” in our vocabulary. It’s because of that that we’ve been able to do things for so many years and deliver things people never knew they needed. When I look at smartphone market, I see a market that was at 700 million last year…projected to double over next four years. Over the long-term all phones will be smartphones and there are a lot more people in the world than 1.4 billion. And people like to upgrade regularly. This is an enormous market to get to. We’ve sold 500 million as of the end of last year, but over 40% of that happened last year. So there’s incredible momentum. And we’ve built a great ecosystem that is also fueling a developer industry..we’ve now paid out over $8 billion to them. Innovation has all moved to tablets and smartphones, so there’s so much momentum. When you look at what we’re doing in China, it’s impressive. There are also areas where we’re not doing as well, and we view those as opportunities. When I string all of these things together, I see a wide open field. Question about opportunities…low-cost and prepaid markets have little access to iPhone given expense. How do you create a quality product accessible to more people? We wouldn’t do anything we don’t consider to be a great product. That’s just not who we are. That said, if you look at what we’ve done for people who are price sensitive, we’ve lowered the price of the iPhone 4 and 4S as of last September, and last quarter we didn’t have enough supply of the iPhone 4. It surprised us. Also take a look at the history of iPod. When we started, it was $399. Now you can get an iPod shuffle for $49. Rather than cheapening, we build new products with a separate experience. For years, people said ‘Why don’t you have a Mac under $500 or $1000 or whatever?’ We worked on that for a long time and came up with the iPad. So we’re always trying to reinvent with great new products. Question about Apple’s design choices..focusing on iPhone 5 screen size and how Apple’s knows it’s right for users. First of all, I’m not going to talk about what we might do in the future. But look back at the PC industry…companies have historically competed on two fronts: price and specs. But customers are interested in the experience. Do you know the speed of an Ax processor? It doesn’t matter. So when we look at displays, there are a lot of factors…and it’s all about the experience. There are many details of a display (Retina is twice as bright as OLED, and better color saturation), and we sweat all of them to create the best experience, which is always broader than can be defined by a single number. The only thing we’ll never do is make a crappy product. That’s the only religion we have…we must do something great. Something bold, something ambitious. Something great for the customers, and we sweat all of the details. It’s a huge opportunity. It’s an ideal example of the intersection of hardware, software, and services. Look at PCs…we sold more iPads last year than market leader HP sold of their entire PC lineup. There were about 120 million sold last year…projections suggest 375 million within four years. Will exceed PC sales. Apple is the poster child of the post-PC revolution. We have over 300,000 apps custom designed for the tablet. The other guys have a few hundred. And you can see the whole of Apple coming out here. I don’t know about market share because we’re the only ones really report numbers, but if you look at usage, IBM saw over Black Friday that shopping activity on iPad was twice as high as the entire Android market. Data is very clear that iPad is popular and people use them more. I’m not sure what people are doing with these other tablets. We want people to use our products, not just buy them. Our relationship starts there…it doesn’t end there. iPad is also moving into all of the key markets. In almost every Fortune 500/Global 500 company. Making inroads in education, and of course consumers. It usually takes a long time to penetrate all of these markets, but we’ve already done that. But we still think we’re in the early innings of this. Customers want integration and we deliver that. iPad mini was huge last quarter. iPad set a standard for pricing, and iPad mini brought that down further. But it did bring down margins. What about tradeoffs between entry pricing and financials for the company. I get asked about cannibalization a lot. The first time I remember being asked about this was the iBook versus the PowerBook. When the iPad came out, people said we were going to kill the Mac. The truth is we don’t think about that. If we don’t cannibalize, someone else will. In the case of iPad, the Windows PC market is huge, and there’s a lot more there to cannibalize than there is of Mac. If a company ever begins to use cannibalization as a major factor in their decision-making, it’s the beginning of the end. Because if they don’t, someone else will. If you look at the iPad, over 50% of the people buying iPad in countries like China and Brazil don’t own any other Apple products. And we’ve seen a very clear pattern of people buying an initial Apple product and then buying more. We’ve seen this halo effect with iPod for the Mac, iPod for iPhone, and now even iPad for iPhone. Seems perfectly reasonable to me to have both iPad and iPad mini in our lineup. I think this is going to be the mother of all markets. And customers are voting and they’re buying. Your margins have long been above your competitors’. How do you think about this over the long-term? I don’t want to get into projecting margins beyond what we do in conference calls, but in general here’s what we do. You can always go in and accept a lower margin for strategic reasons, but at the background we always know that this halo effect plays out. We also are confident in our ability to manage the supply chain and bring down the cost curve. Because we’re not a “hardware company”, we have other ways to make money and reward shareholders. Last quarter, for software and services, it was $3.7 billion. If you look at software and services companies, that’s an incredible amount of revenue. Being more than just a hardware company gives us some flexibility over the short-term. We’re managing Apple for the long-term. Looking at Apple as a platform company, address how things might differ between developed markets and emerging markets. Some markets, for reasons outside of Apple’s control, don’t have iTunes music and movies, etc. How does that affect platform strategy. Last year, we put major effort into expanding our ecosystem into new markets…App Store, iTunes Store, iBookstore all in over 100 countries. Only one major country where we’re not selling movies. We advanced significantly last year in getting our infrastructure in place in countries around the world. We still have a ways to go, and you’re right, in some cases it’s beyond our control, but we keep knocking on the door. But versus last year when we were talking, there is a dramatic difference in our ecosystem in emerging markets. There’s no better place to discover, explore, and learn about our products than our retail stores. Our people are amazing. You walk in and immediately realize the store isn’t there for selling, but for service. The store helps you get more out of your products and acts as a gathering place. You might find a youth program with kids coming on an elementary school field trip. You might find a local musician performing. I’m not even sure “store” is the right word anymore. They are the face of Apple for almost all of our customers. People don’t think about the Cupertino headquarters…they think about the local Apple store. Last quarter, we welcomed 120 million people in our stores, and we only have a little over 400 of them. So this is huge, in fact so huge that some of our stores aren’t big enough. But like cash, it’s a good problem to have. So this year we’re closing 20 stores and moving them to larger spaces. And opening 30 more stores, disproportionately outside of the U.S., including first store in Turkey. I don’t think we would have been nearly as successful with iPad if it weren’t for our stores. This was something new that people didn’t know anything about, but the stores gave people the chance to come in and experience it. We’re incredibly bullish on stores and going to continue to invest in them. Our people are fantastic, and there’s no place quite like it. I don’t have very many bad days, but if I ever feel that I’m dropping down from an excited level, I go and visit a store. It’s like a Prozac. Look back at first full year as CEO. What are you most proud of? Most proud of our employees. I have the privilege every day of working with people who want to make the very best products in the world, and they’re there to do not only great work, but the best work of their lives. It’s a privilege of a lifetime for me to be there now. I’m proud of products. For those things we’ve elected to do, they’re really great. I’m incredibly bullish on the future. I’m proud that we have a spine and are out in front on supply chain responsibility. I’m proud that we’re doing heavy lifting with the environment…eliminated toxics, largest private solar farm anywhere, etc. I’m proud about all of these things. It’s both the privilege of a lifetime and incredibly humbling to be able to work with all of these great people.